Rumors of our community's demise have been greatly exagerated and for what purpose? 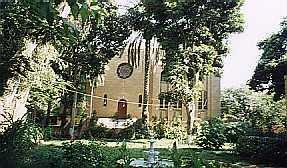 Ever since I became the first woman president of the Jewish Community Council in Cairo (JCC), we have been assailed by letters, polite or otherwise, asking, or rather demanding, that we sent all the Sefarims domiciled in our synagogues to the ex-Egyptian Jewish communities scattered all over the world. These requests are not new. We found several in our records dating back 17 years ever since the peace process was initiated during President Sadat's administration. Most of them were sent by heads of various Jewish communities. The answer from JCC has consistently been "sorry, but the Sefarims are staying where they belong". The only exception was when a well-intended member of the Alexandria community thought he was rendering a communal service to the diaspora: "It is a great Mitzvah because the people who donated them wish them to be placed in synagogues where there are minians to pray upon them."  Our do-gooder sent about 100 Sefarims out of Egypt. When this man emigrated a few years later, he was amazed and dismayed when he found only two in the destined synagogues, the rest having been sold to individuals and private collectors! When I first went to Israel in 1983, I met a lady elegantly dressed from head to toe with hat, jewels, gloves, etc., not unlike the elegant ladies of the Egyptian Jewish community of yonder years. Her's was one of the most sensible comments I have heard from a former Egyptian Jew: "Egypt gave us so much; we deserve our lot because we were too selfish to give her anything in return." The scattered remnants of the Egyptian Jewry worldwide are still refusing to give. Yet, they want to take over everything, especially that which symbolizes the era of Egypt's tolerance and acknowledgment when one of its most important minorities included a number of pashas, beys, ministers, senators and MPs. Why, for a change, don't I receive a letter offering to repair or renovate some of our rich Jewish heritage? Why isn't anyone volunteering to follow the footsteps of Mr. Nessim Gaon who at his expense renovated the main synagogue of Chaar Hachamayim. Why don't we hear of people wanting to emulate Ms. Phyllis Lambert of the CCA - Canadian Center of Architecture in Montreal whose generosity allowed for the restoration of Ben Ezra, this wonderful jewel of a synagogue that dates back to First century. There is also the example of Mr. Clement Waturi who twice offered to renovate the Ben Maimon Synagogue "Rav Moshe." And had it not been for the Jewish Sephardic Federation and the Association pour la Preservation du Patrimoine Juifs d'Egypte (Jacques Hassoun) there would have been no wall protecting the Bassatine Cemetery today. Instead of trying to take the Jewish heritage out of Egypt, why don't the former Jews of Egypt send funds to renovate and re-glorify its synagogues and to restore the ancestral graves built with such care by their fathers and forefathers? They say Ben Maimon is buried in Tiberias. Being an adept of Rav Moshe, I visited his shrine. What I found was a bare compound with a huge grave. And despite the oil lanterns burning around it, there was a cold atmosphere that chilled my spirit. On my return to Cairo, I visited his yeshiva in Haret el-Yahoud where I always feel his warm presence. Some of you will understand what I mean, for like myself and several others who suffered from various illnesses, we dreamt of Ben Maimon who advised us silently of the cure we should follow. Today, I urge the responsible persons among you to stop sending these insensitive letters, always referring to our "inevitable extinction" and alluding to the expansion of Egyptian Jews in Brooklyn and elsewhere. As the poet said: "Who can tell what grain will grow and what will die?" Even if we are today a couple of hundred with no Minian, still we have Jewish tourists by the thousands and on the increase each year, all of them eager to visit the Jewish patrimony. Visiting Jewish statesmen are bent on praying in Chaar Hachamayim and Jewish students are forvever eager to write about the community. 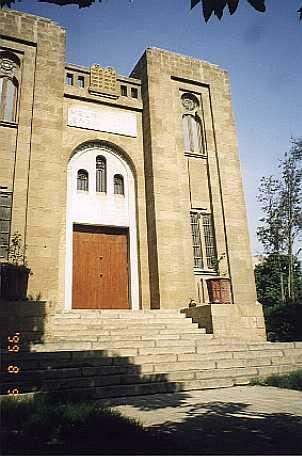 The Hanan and Kreim Synagogues in Daher; the great Karaite Synagogue in Abbassia; the Meyer Biton Synagogue in Maadi; the Ahkenazi Synagogue on Ataba Square; Chaar Hachamayim on Adly Street (renovated in 1980, but needs some repairs after 17 years). 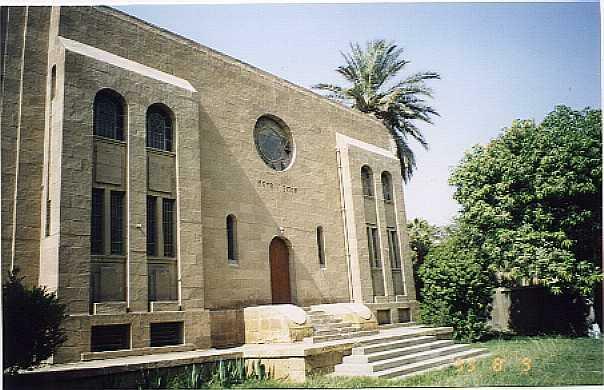 And how about the Rav Moshe ben Maimoun Synagogue and the Yeshiva in Haret el-Yahoud (twice repaired but not with the right experts); the Rav Haim Capucci Synagogue and, the Midrash Beit Mosseri Synagogue and school in Haret el-Yahoud and the Eliahou Hanabi "Nabi Daniel" in Alexandria. The remainder of Bassatine Cemetery still needs to be freed from squatters. These have to be paid off. Morevoer, there is an urgent need to recuperate the beautiful vaults of Moise Cattaui Pasha, Rav Haim Capucci, and the graveyards of the Ades, Ventura, Rodrigues, Najjar, Curiel and Mosseri families. Taking the Jewish Sefarims, books, records etc., out of Egypt because there are very few of us left is tantamount to saying Egypt should demolish the Pyramids and the Temple of Luxor because there are no pharaohs left; China should destroy the Forbidden City because there are no more emperors; France should destroy Versailles and its other palaces because the monarchy is gone; England should demolish Hathaway's cottage in Stratford on Avon, since Shakespeare is dead; and America had better pull down Lincoln's Monument and statue since there is no more slavery! I urge you to stop your unreasonable requests that if complied with, can only result in erasing a chapter of Jewish history in Egypt. Since the beginning of times, Jews have lived in Egypt the most famous among them being Joseph and Moses and later Ben Maimon, Saadia el-Fayoumi and many others including Sanua better known as 'Abou Nadara' who was among the first to call for Egypt's independence late last century. There is no reason why Jews will not continue to live in Egypt whether as permanent residents or as short term visitors. Therefore I invite you to help renovate your forefathers' patrimony, built with love for Jewish tradition and love for Egypt. Give and you will take plenitude and a peace of spirit and heart unequaled. One last word. Please note that at the recommendation of the JCC all Sefarims have been classified as antiquities by the Ministry of Culture which means their export, sale or displacement is forbidden by law and punishable by 10 years imprisonment. At going to press, a delegation of ex-Egyptian Jews headed by Messrs. Clement Sofer, Nessim Hadef and Jacques Dowek visited Adly Synagogue in Cairo with the hope of collecting the Sefarims and taking them back with them to Brooklyn, New York. They were met by Mrs. Esther Weinstein who informed them that as long as there was a Jewish presence in Egypt, the Sefarims would stay in their original home. End of story! in January of this year following a long illness. died on the same day. passed away after a short illness. who passed away on the second day of Hannuka. The new Israeli ambassador Zvi Mazel and his wife Michelle visited the Bassatine Cemetery. Other visitors included a repeat trip by the German School in Giza. They had visited Bassatine Cemetery almost a year ago. Also in Cairo last February were Mr. Ami Bergman, the American Joint Distribution Committee (AJDC) Representative and Mr. Smolkles, the AJDC treasurer. Their Cairo visit coincided with the re-inauguration of the Rabbinate headquarters in Abbassia following a long overdue face-lift. Another visitor to Bassatine was holticulture expert Mr. Cohen Yacov who gave valuable suggestions regarding planting of trees. It was a full house this year for the Purim celebrations at the Chaar Hachamayim Synagogue on Adly Street. Over 200 persons were in attendance including tourists. We receive many requests for birth, death & marriage certificate searches. Please make sure you send the full and accurate name and as approximate a date as possible. Searching for certificates is a time consuming process and because of lack of staff and expertise - records are mostly in Old Hebrew - it could take some time. Please make sure an appropriate contribution or donation accompanies your request.